The research that came out of this re-engagement with Kawabata is going to appear in different forms in different languages. The longest version will appear in English at some time in a special issue of Japan Forum (it has been okayed for publication). 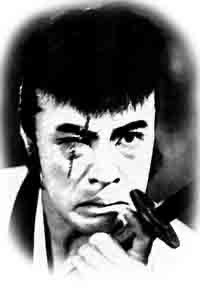 The Japanese version, however, is already out in a book titled Kawabata Sutadīzu. And whereas the Japan Forum issue will only contain a handful of articles that came out of the conference, Kawabata Sutadīzu features many more. Volume, however, was achieved by sacrificing length, so mine is not the only piece in the anthology that had to be shortened. Still, it is a wonderful introduction to the current state of Kawabata studies, featuring articles by Tawada Yoko, Cécile Sakai, Toeda Hirokazu, Michael Bourdaghs, Wada Hirofumi, Irmela Hijiya-Kirschnereit, and Kono Kensuke, among many others. 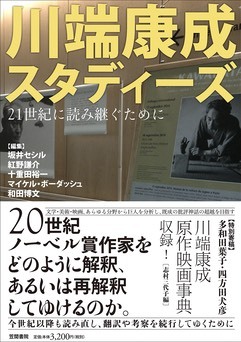 Yomota Inuhiko and Shimura Miyoko, who did not take part in the conference, added extra pieces on Kawabata’s connections with cinema. Aaron Gerow, “Kawabata to eiga: ‘Bungakuteki’ to ‘eigateki’ no kindai” 「川端と映画　「文学的」と「映画的」の近代」pp. 64–71. You can purchase it at Amazon Japan. Update: The longer English version was published by Japan Forum. Find out about it here.